Sports and activities for athletes of all abilities. 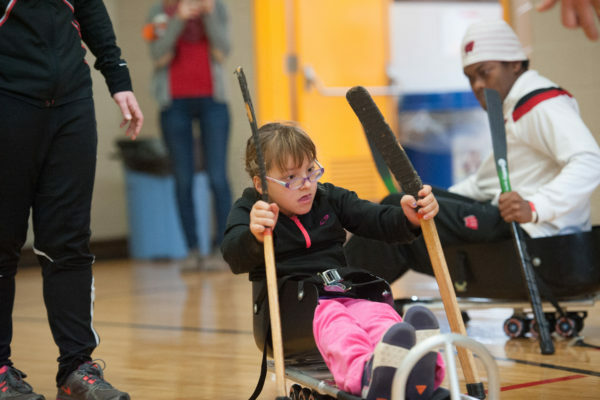 Athletes of all abilities are invited to attend and participate in Badgers ADAPT. We partner with the Kinesiology Adapted Fitness & Personal Training program to introduce you to adaptive and Paralympic sports, events, and activities. 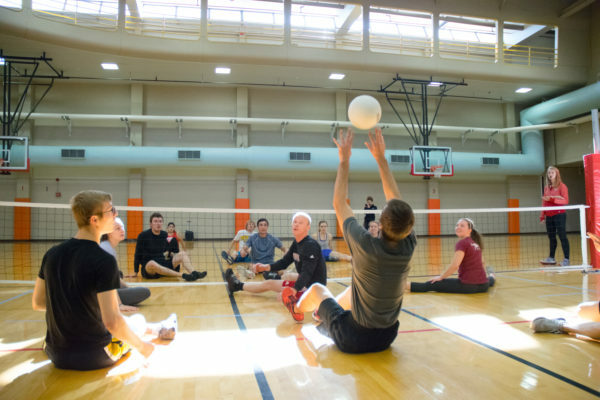 Check our intramural sports schedule for adapted sports leagues this fall! The net is about 3.5 feet high and the players are required to keep one “cheek” on the floor when making contact with the ball. Badgers ADAPT welcomes members of the campus and greater Madison community to participate in a wide variety of activities. 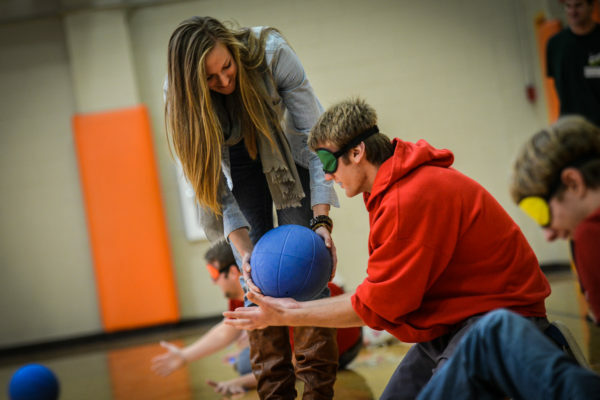 "Badgers ADAPT gave me a new understanding for how individuals with different abilities can defy their limitations."